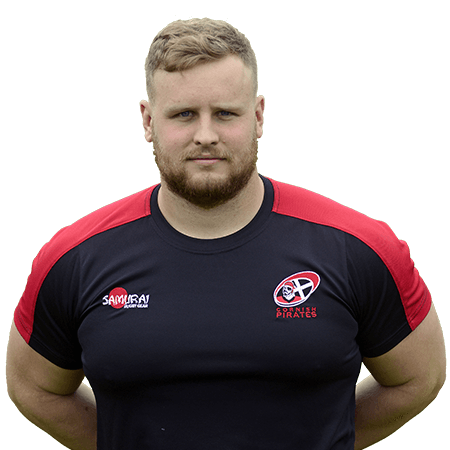 Joining the Cornish Pirates in 2017, prop forward Christian had put pen to paper on a two- year contract. Educated at Callington Community College and later the University of York, Christian was well known in Cornwall, having previously played National League rugby for the Cornish All Blacks. He also featured for Cornwall’s County Championship winning side in 2015, and then spent a season playing for Plymouth Albion before his move to Bedford. A Championship winner again with Cornwall in 2016, he has also played for England Counties. Christian’s dad helped coach him at youth level, and his brothers James and William have also played the game. And how did his first season with the Cornish Pirates go? Well, as an ever-present in the side he made an admirable 32 appearances as a more than solid front-row performer. I had a trial for Plymouth Argyle when I was 10, unsurprisingly I didn't get in! Prior to rugby I was interested in pursuing a career in Management Consultancy so I would probably look to do something like that.